THE INTERNATIONAL LAW EXPERT COMMISSION GIVES THE GREEN LIGHT FOR POLITICAL VOTE. Now it is up to the regional assembly persons to approve regional law 342/2013 and clear the way for the independence referendum to be held next October 6th. 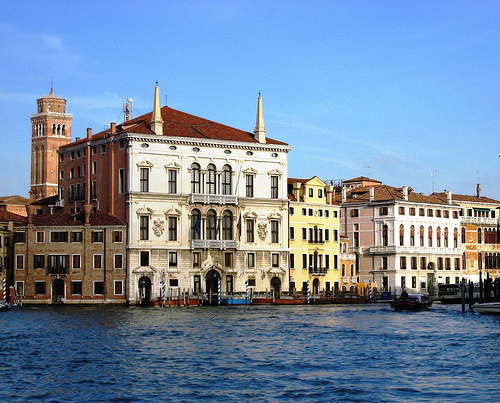 VENICE – This week the experts commission nominated by the Venet governor Luca Zaia convened, and none of the six jurist said it is forbidden to let the people of Veneto decide, through a democratic referendum, if they want the Veneto Region to break free from the Italian State, which it joined with a plebiscite in 1866. The commission did not object to the democratic principle on the possibility for Venet citizens to voice their opinion on independence through a referendum, and thus confirmed it is not in violation of any law. The lawyers and experts in the commission have discussed at length the feasibility of such a referendum and the next step now is up to the Regional Assemby, since no one in the juridical commission declared that such referendum is in any way forbidden by Italian law, and leaves the onus to the politicians to devise the most appropriate itinerary for the popular vote. 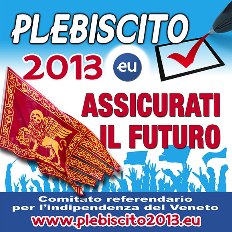 The big date now is July the 2nd, next Tuesday, where the First Commission of Regional institutional affairs will meet, and then in mid-July for the extraordinary Regional Assembly which has been called to approve the regional law 342/2013 for the referendum of independence of Veneto next October 6th. 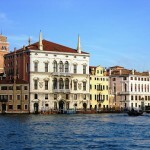 Venice and the Veneto are experiencing a moment of historic importance. Viva San Marco! but can not be done. Non sarà certo questo l’atteggiamento della nuova Repubblica Veneta, che nasce sulla scia della Serenissima Repubblica, la cui peculiarità nei secoli fu accoglienza e reciprocità.